glass of red on the side, slinky in finest crystal. It was the only way she showed me she cared. since Fathers Day has hurt. I have no one to buy a card for. My maudlin nature I abhor. Some days I just miss him more. I felt all nostalgic today when I heard that British Tourism Week had kicked off with Party on the Pier. Apparently, piers in seaside towns are having a huge revival – thanks to more UK holidaymakers taking more domestic breaks; the phenomenon otherwise known as the staycation – and this week is celebrating the UK’s piers and their heritage, in conjunction with the National Piers Society. But it’s not the heritage, or the staycation, or the celebrations that make me feel nostalgic. 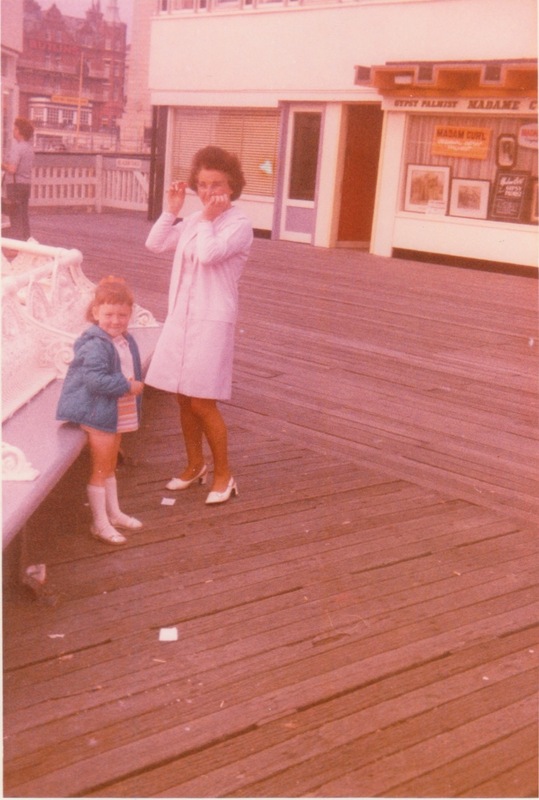 Its my candy-floss memories as a child, hopping, skipping and jumping along Blackpool prom to get to one of the town’s three piers.